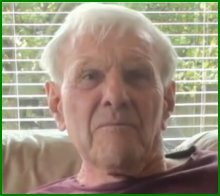 Clive started his speedway career with Norwich in 1949 but went into the services as a paratrooper in 1950 when he came came out he found it very difficult to get a team place having just 1 outing in 1954 7 in 1958 and 2 in 1959, but when the Provincial League started in 1960 it was tailor made for hard riding Clive. He made his debut for the Heathens on 13th August 1960 scoring 9 plus 1 points from his first outing at Dudley Wood, he had 4 matches with his last match at Poole on 21st September 1960. Clive's best match this season was against Sheffield when he scored 11 points from 4 rides. He joined Sheffield in 1961, pulling in an average of 9.33 from his 20 matches. 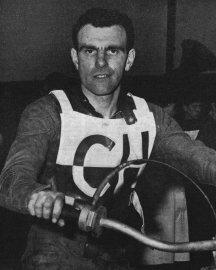 He had his best years at Owlerton in 1962 -63-64 and 1965 Then 'Feathers' was allocated back to Cradley in 1966 but he wasn't happy about that, he wanted to join his local track Kings Lynn. He had a full season back at Cradley though in 1966. Always difficult to work with and a really hard rider on track he walked out at Edinburgh when he had problems with his machine and refused to borrow equipment. 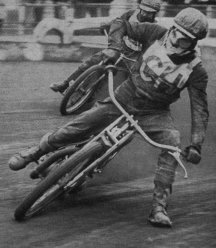 Clice got his wish in 1967 joining his home town club Kings Lynn where he stayed with the Stars until he retired in 1972 following a crash at Reading when he had acompound fracture of the shin. He went to Australia and spent many years there after retirement. You tube video on Clive Featherby' hard man image.